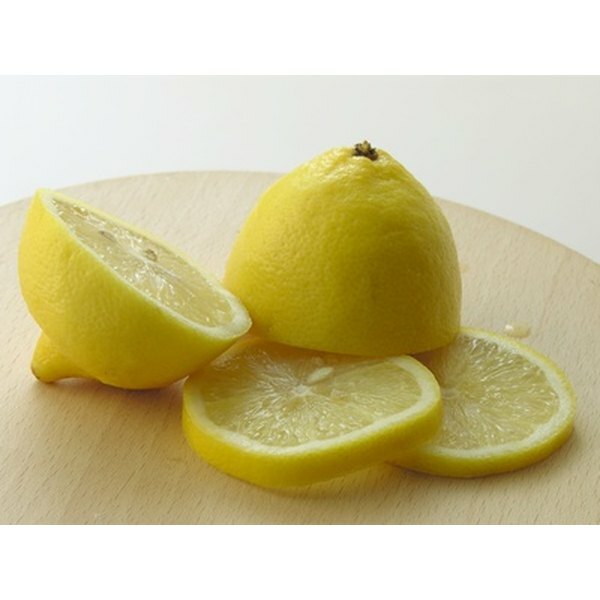 Lemon juice and petroleum jelly helps rid dry skin on feet. Dry skin on your feet can make them feel itchy and uncomfortable. When warmer weather hits and you want to wear sandals that bare your feet to the world, dry skin can be embarrassing and look unsightly. It can also lead to cracks in your heels that can become infected. Treating your dry feet does not have to involve expensive ointments or lotions purchased from a retail store. Many homemade remedies exist that will help restore moisture to your feet and leave you with smooth, soft skin. Soak your feet in warm, soapy water at the end of the day for about 15 minutes or dedicate this time for a nice bubble bath. Rinse your feet with clean water and pat them dry with a soft towel. Mix together 1 tsp. of petroleum jelly and the juice of a lemon, according to the website Home Remedies for You. Rub the mixture onto your feet until it is completely absorbed. Do this once a day and soon you will conquer the dry, itchy skin on your feet. Rub a generous layer of vegetable shortening or hydrogenated vegetable oil onto your feet after bathing or a shower. Put on a pair of cotton socks. Leave the socks on overnight and in the morning you will notice your feet feel much better. Repeat this on a daily basis until the skin on your feet is no longer dry. Treat your feet to this moisturizing treatment once a week in order to prevent dryness.